If you want to help them, never buy a ticket. A crowd gathered around a stage area inside a metal pavilion. 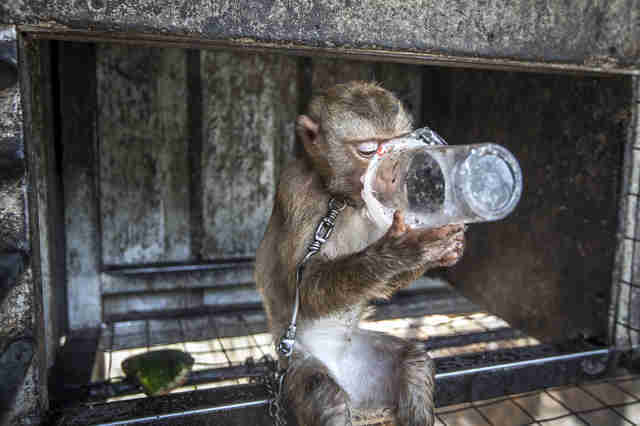 Music blared from a sound system, while trainers wearing green T-shirts entered, holding onto the chains of tethered macaque monkeys. 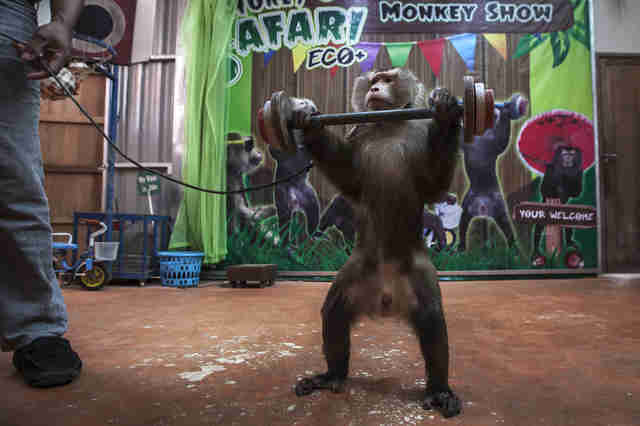 Then the trainers yanked the macaques’ chains to make the animals perform tricks, such as riding a tricycle and lifting weights. 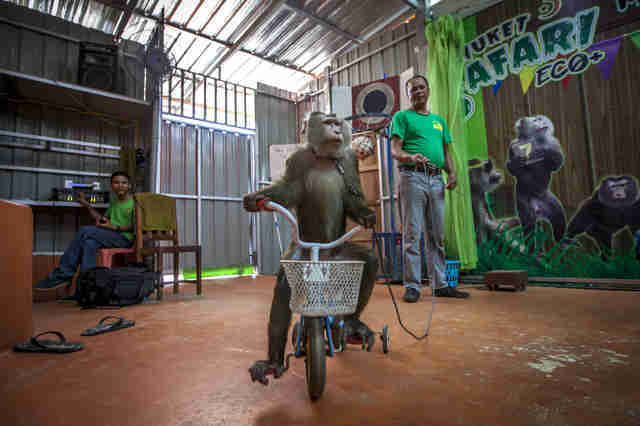 In February, wildlife photographer Aaron Gekoski visited this roadside safari park in Phuket, Thailand, where macaques and other animals are forced to perform for paying guests. 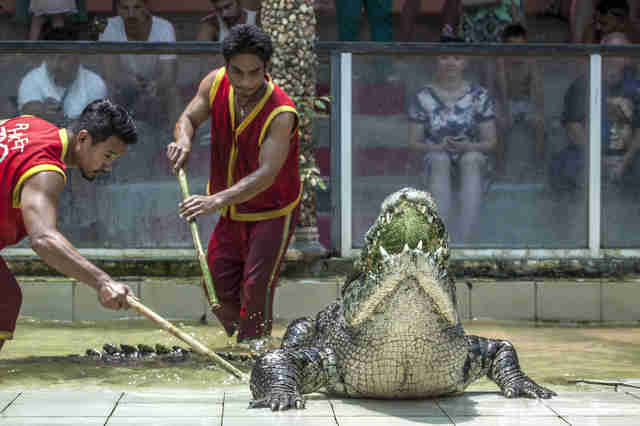 The place is called Phuket Safari Eco+, and Gekoski went to investigate it after reading bad reviews on TripAdvisor, many of which accused the facility of animal abuse and exploitation. 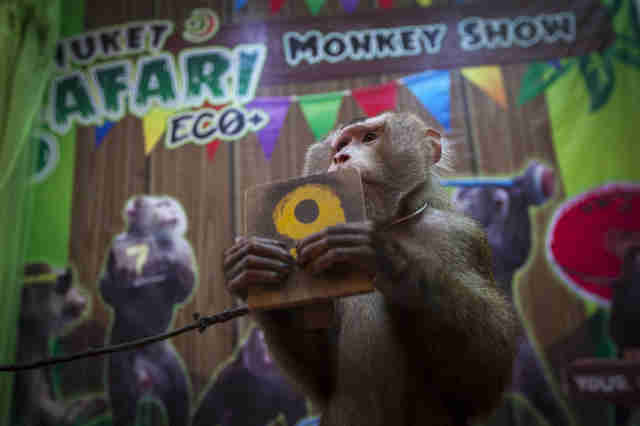 Macaques perform throughout the day at Phuket Safari Eco+, Gekoski explained. And when they aren’t performing, they’re kept in tiny metal cages in a backstage area. 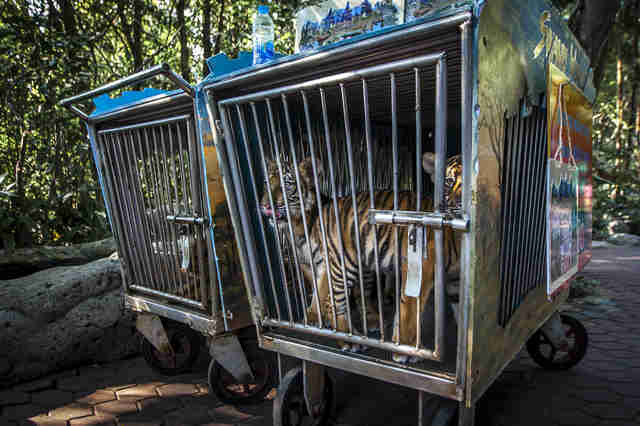 The cages don’t have food, water or any enrichment activities for the animals. 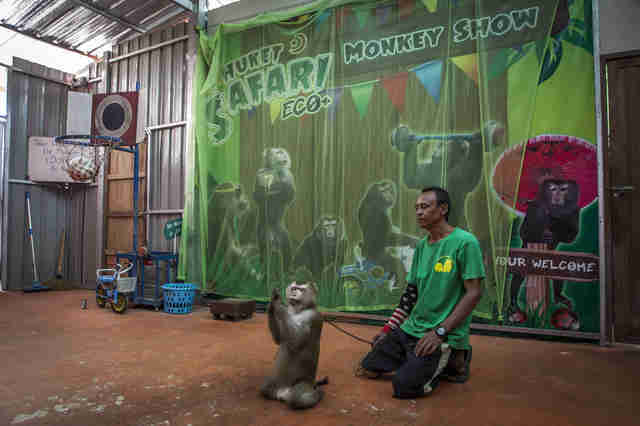 While this backstage area was technically out of public view, there was another part of the park where macaques were openly displayed in cages, which Gekoski found even more disturbing. 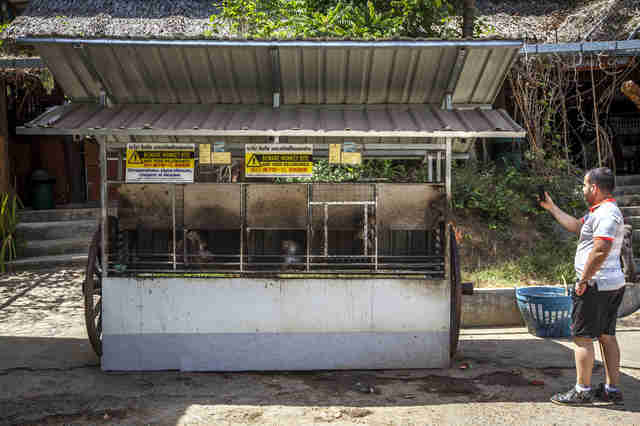 Macaques weren’t the only animals being exploited at this safari park. 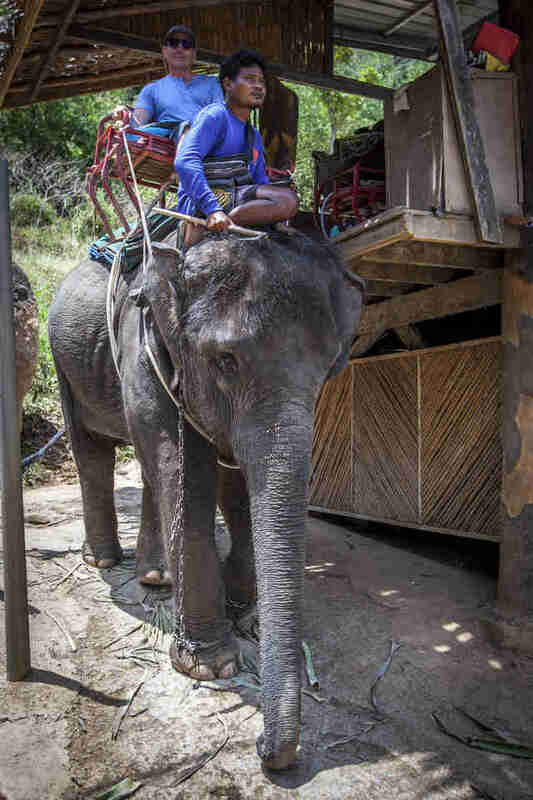 Gekoski also saw elephants taking tourists for rides on their backs, and young elephants being forced to perform tricks inside a tiny room. 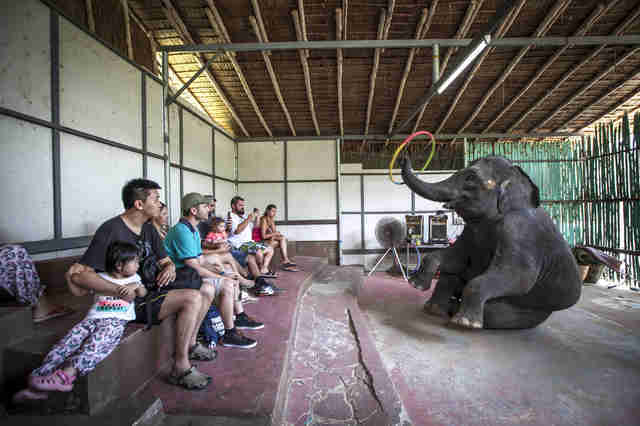 To make elephants do these kinds of things, they have to go through a horrific training process called a “crush,” in which people beat the elephants with bullhooks and whips to “crush their spirits” until they learn to obey. 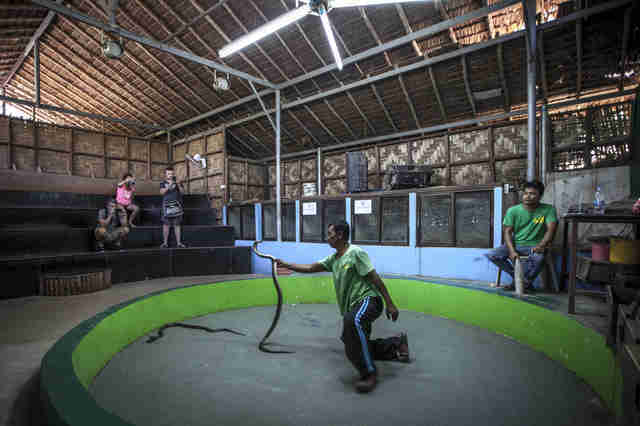 The park also featured snake performances, and what Gekoski described as a “post-apocalyptic mini-zoo” containing sheep and other domestic animals. “The enclosure was filthy and surrounded by trash,” he said. Phuket Safari Eco+ did not immediately respond to a request for comment. 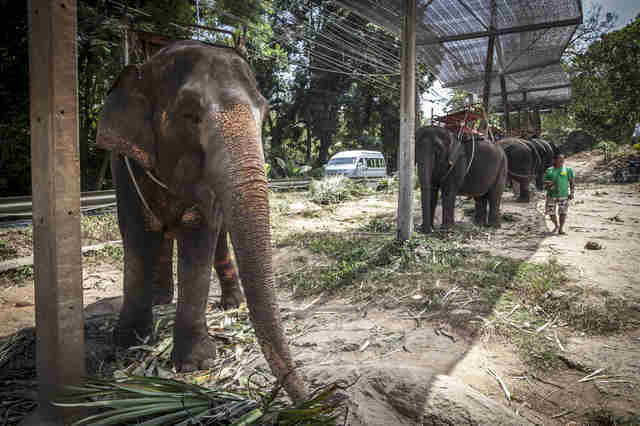 Unfortunately, these kinds of parks and zoos are pervasive throughout Thailand and other countries in Asia, and many of them both obtain their animals and operate illegally, Tom Taylor, general manager of Wildlife Friends Foundation Thailand (WFFT), told The Dodo. 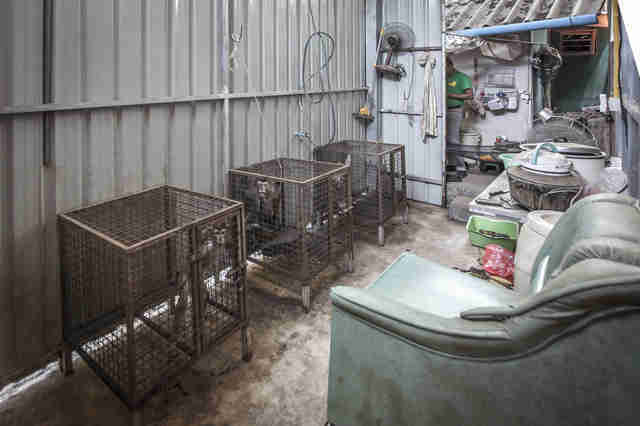 In 2014, Thailand instated its first animal welfare law, which technically protects animals against this kind of cruelty, but the law isn’t always enforced, according to Taylor. 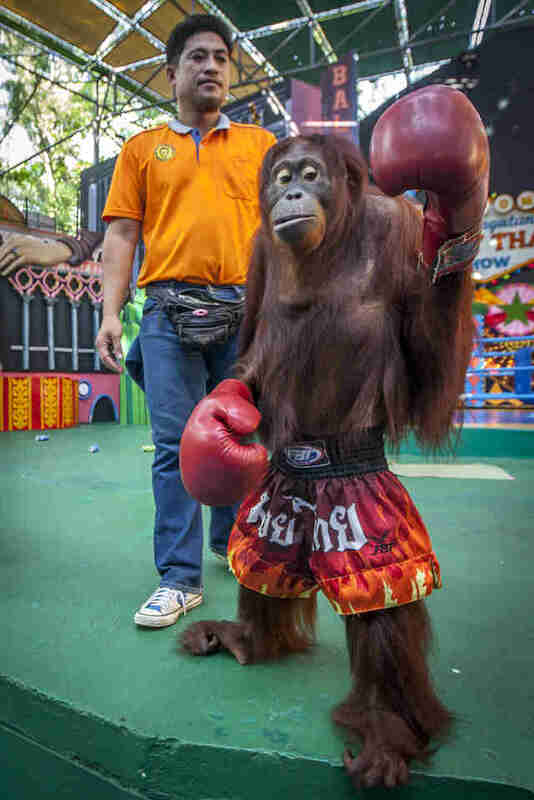 To help animals who have been rescued from abuse in Thailand, you can make a donation to WFFT. 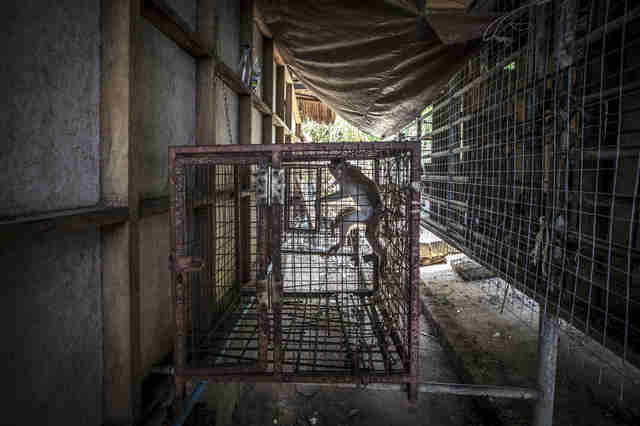 You can also support efforts to document animal abuse and exploitation in Southeast Asia by making a donation to Gekoski’s photography work.